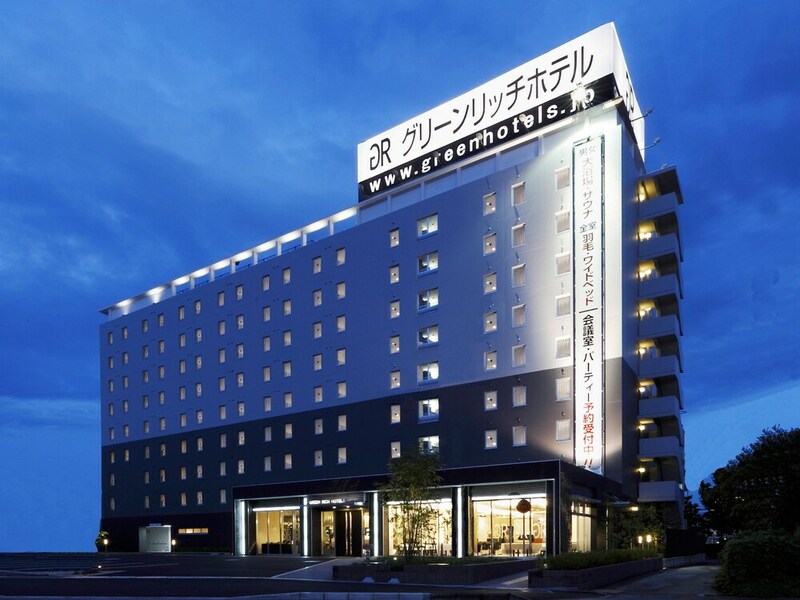 Situated in Ikeda, this hotel is 2.1 mi (3.4 km) from Cup Noodles Museum and 2.4 mi (3.8 km) from Itami Sky Park. Osaka University and Expo City are also within 9 mi (15 km). Toyonaka Hotarugaike Station is 12 minutes by foot and Osaka Ishibashi Station is 24 minutes. Along with a restaurant, this hotel has self parking and a meeting room. WiFi in public areas is free. Additionally, laundry facilities, a 24-hour front desk, and a computer station are onsite. All 241 rooms boast deep soaking tubs and offer free WiFi and LCD TVs. Free wired Internet, refrigerators, and hair dryers are among the other amenities available to guests. The hotel offers a restaurant. A computer station is located on site and wireless Internet access is complimentary. This business-friendly hotel also offers a vending machine, laundry facilities, and a safe deposit box at the front desk. Limited onsite parking is available on a first-come, first-served basis (surcharge). Green Rich Hotel Osaka Airport has designated areas for smoking. Buffet breakfasts are available for a surcharge and are served each morning between 6 AM and 9:30 AM. Green Rich Hotel Osaka Airport has a restaurant serving breakfast and lunch. Start your morning with a buffet breakfast, available each day from 6 AM to 9:30 AM for a surcharge. Public bath/onsen services include an indoor public bath (no mineral springs). There is no after-hours reception at this property. Guests arriving late won't be able to check in until the next morning. If you are planning to arrive after midnight please contact the property in advance using the information on the booking confirmation.